This course encompasses many aspects of computing from scientific foundation, to coding, web design, IT skills and familiarisation with a range of industrial and commercial applications. 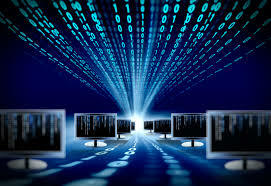 This course can lead on to advanced entry to a number of Honours Computer Science Degrees such as Computer Science/Computing in DIT, BSc in Computing in National College of Ireland and BSc in Computing in ITB. There is an emphasis put on coding in this course and year one has eight hours of coding per week and nine hours of coding in year two. Fundamentals of Object Oriented Programming (Coding using Java), Programming & Design Principles (Coding using Java), Software Architecture, Database Methods, Communications, Work Experience, Maths for Information Technology. Object Orientated Programming (Coding using Java), Graphical User Interface Programming (Coding using Java), Web Development, Software Architecture, Project Management, Relational Databases, Communications, Work Experience. Leaving Certificate with a minimum of a O6 or H7grade in Maths and an interview. Mature students are welcome. Students with a Computer Science qualification can anticipate employment as computer technicians, programmers/analysts, software and hardware support specialists and computer sales professionals. 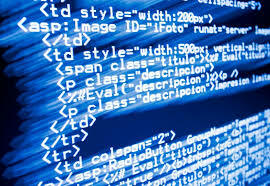 Alternatively they may use the course as a sound academic basis for further study in the Computer Science area. Successful students may progress to the second year of the Computer Science or Computing Degree in Kevin Street, DIT (C2 / O4 in Leaving Cert Maths required) or the second year of a Computing Degree in IT Blanchardstown, National College of Ireland and in many other IT’s.